Bugatti has been developing high-performance cars in Molsheim, Alsace, since 1909. While it all started with the Type 10, which was later renamed as the Bugatti Type 13, the French carmaker, in its entire history, has only focussed on producing more powerful, more driver-oriented and more luxurious performance vehicles than their respective predecessors. With the record-shattering Veyron, Bugatti entered the elite '1000bhp club', and it is said to be the original inspiration for modern-day hypercar manufacturers like Koenigsegg. As 2019 marks the brand's 110th anniversary, company boss Stephan Winkelmann has gone on to list the important objectives of the brand for the year. This year, Bugatti will organise a grand tour of places where the company's founder, Ettore Bugatti, was active during his life. 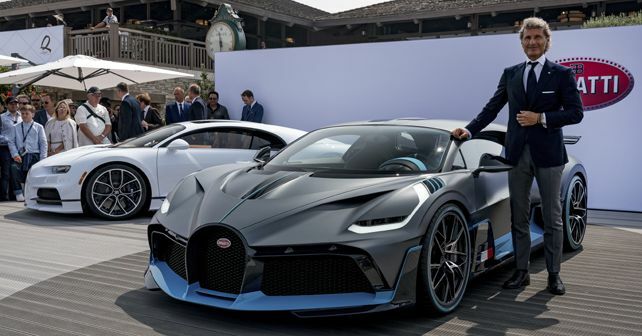 From 2019 onwards, the Bugatti Divo will also enter production and will be built together with the Chiron at the company’s factory in Molsheim. The first few units of the Divo will be delivered to customers in 2020, and the first lot of just 40 units is already sold out at a net unit price of €5 million. With this clear declaration, Bugatti has become the second hypercar manufacturer, after McLaren, to not chase the SUV dream in pursuit of volumes and at the expense of the brand's heritage and legacy.